That is it for today. Join us for the other sports! Monorama Devi is out of the race by DNF. Monorama Devi in 12th position with -20 points. Monorama Devi in this one. One final race to come in Women's Omnium. One more race to go for today. However, the race will begin after an hour. Monorama Devi is in the eleventh position in the overall standings, despite finishing 12th in this one. Monorama Devi has been ranked 12th. The event is currently underway. The Women's elimination race is about to start. Meanwhile, we have more events coming up! It is unlikely that the Indian will go any further. Esow finishes second and is out of the competition. Esow is up against IM Chabein of South Korea. Whoever wins this one moves on to the next round. Esow Alben is up first in the 1/8 final of Men's Sprint. He is in heat 1 as well! Hello and welcome back to the second session of cycling! The rest of the cycling events will continue in the second session. Monorama Devi is in 11th with -40 points. Women's Omnium Tempo race coming up! Esow Alben qualifies for the next round! The Indonesian qualifies as he finish 0.008 seconds ahead of Singh. Ranjit Singh is up first. He is taking on Indonesia's Puguh Admadi in Heat 2. Meanwhile, we head back to Men's Sprint where Esow Alben and Ranjit Singh are compeint in the 1/16 finals. Manjeet Singh finishes 12th and fails to progress. Manjeet Singh down to 10th. Manjeet completed his pursuit in 4:43.714. He has since moved down to 6th. This is merely a qualification event. 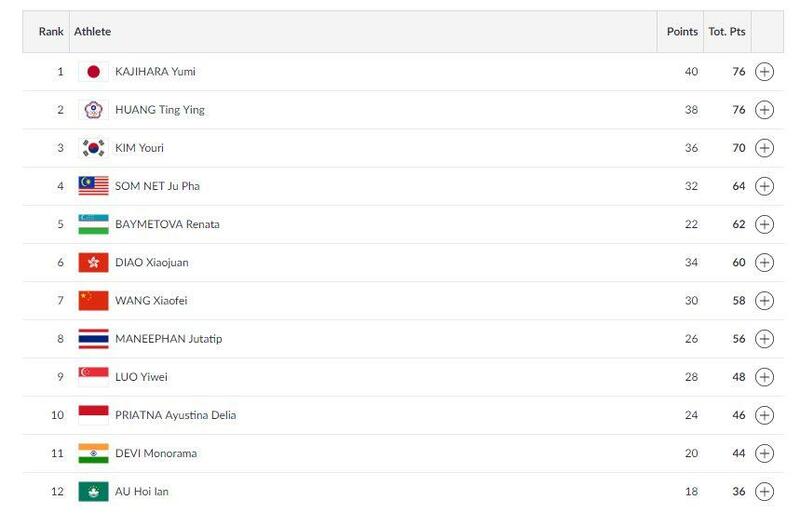 Manjeet Singh is ranked sixth after his heats! Meanwhile, we are underway in the Men's Individual pursuit. Manjeet Singh is in Heat 4 of this one. The Men's Sprint Qualifiers finish with Esow and Ranjit in 15th and 17th position, respectively. They both qualify for the next round. The sprint continues with other cyclists setting their respective times. Ranjit Singh finishes with a timing of 10.639. He sets a time of 10.438. Esow Alben is up first! Men's Sprint event is live! Meanwhile, the list for Men's 4000m Individual Sprint is out as well. Manjeet Singh the only Indian present. The start list for Men's Sprint Qualification is out. Esow Alben and Ranjit Singh in this one! Archery won India two medals as both the Compound Men's and the Women's team won the Silver medal. PV Sindhu bagged a historic silver in Badminton Women's Singles. 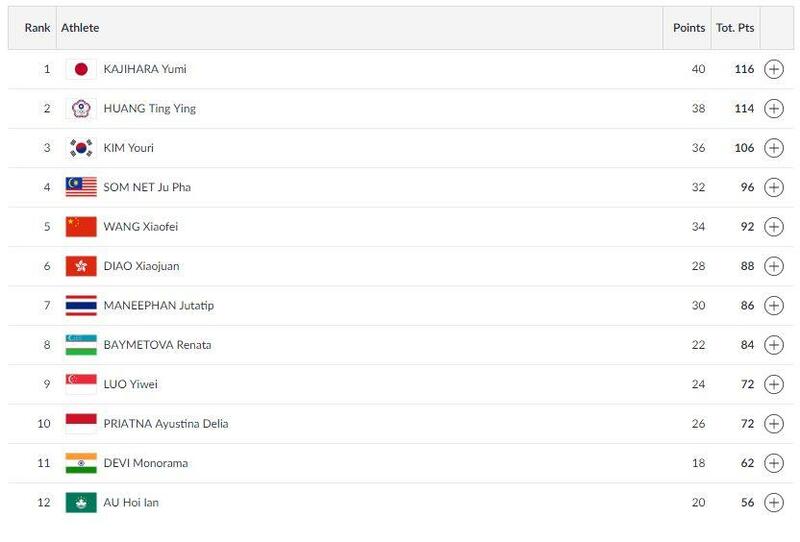 The Indian Men's TT team secures a medal as well, as they return home with a Bronze. There were also a couple of medals won in Kurash -- Silver and Bronze. The big winner of the day was once again Athletics, as Manjit Singh and Jinson Johnson grabbed a medal each in Men's 800m. Singh finished with a Gold, while Johnson won Silver. The Indian Mixed 4x400 team also won the Silver medal. Cycling returns on Day 11 of the games with three events in contention- Men's Sprint, Men's 4000m Individual Pursuit, and Women's Omnium.